Since the late 1970s John and Tina Long(high school sweethearts, still happily married) are owners of a successful cleaning and restoration company proudly serving the Long Island and New York metropolitan areas. 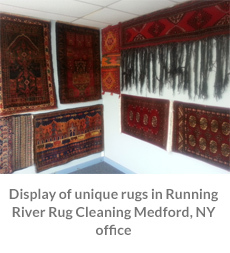 Over the years clients have had a growing need for cleaning and repairs of Oriental, Persian, Indian, Tibetan, Navajo, silk, wool, antique, fine rugs. 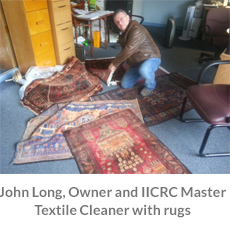 John and Tina have been so successful at making clients happy providing quality rug cleaning and top notch customer service they are excited to focus on a craft they love so much —– fine hand cleaning of Oriental, Persian, Silk, Wool, Antique rugs simulating the idea of river cleaning of rugs in the Middle East, hence Running River.